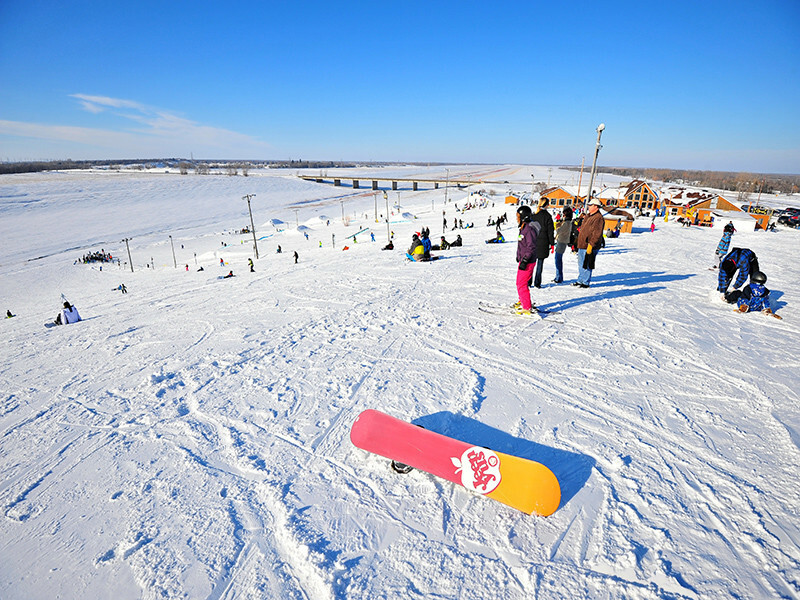 Located just a short drive from Winnipeg on Highway 59 North, Spring Hill Winter Sports Park is a great winter experience. With seven hectares of ski able area, the Park includes 10 ski runs, a quad chairlift and 2 tow ropes. The Terrain Park offers something for all levels and abilities from beginner to extreme advanced. The Terrain Park features the following: jumps, tabletops 20 foot - 40 foot – 60 foot, hips, 30 foot down flat down rail, 15 stair set and hand rail, rainbow rail, A frame rail, battleship rail, C rail, 30 foot, 20 foot and 10 foot rails and boxes. There is also a half pipe, race run and mogul run, and a learning fun zone slow area. Certified instructors are also on hand. The Park includes a 3,500 sq. ft customer service / rental shop and group use area and a separate area to be used as a media room and a meeting room for private functions and birthday parties. There is also a fully operational kitchen and sports bar for the customer’s to enjoy throughout their visit. Please call or check the website for hours of operation. School and group rates are available weekdays during the daytime. The season starts December 15 and runs until April 1.